Stylish Star Allu Arjun is shaking leg for a mass number from his forthcoming movie Sarainodu composed by Thaman, in a specially erected set that costs more than 1.5 crores at Annapurna 7 Acres studio. Catherine Tresa will also be seen in the song while 300 dancers are joining them in the song shoot. Bollywood master Bosco Caesar is supervising the dance choreography for the mass number, which is being canned from the past couple of days. Sarainodu also features Rakul Preet Singh as the other female lead. Allu Arjun and mass director Boyapati Srinu are collaborating for the first time for a commercial mass entertainer, being produced by Allu Aravind under Geetha Arts banner. 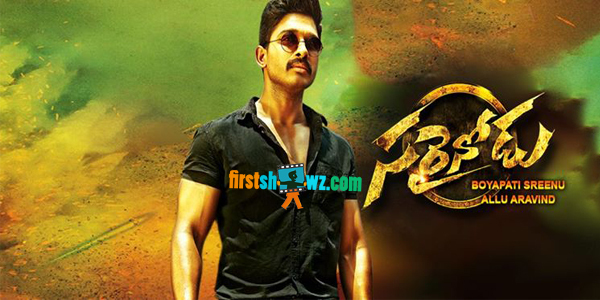 Sarainodu first look teaser will be released on the 18th of February, and the movie is slated for April release.